Convert more leads, enable your sales reps, and align your sales and marketing teams with our marketing services and tools. With W-Systems Marketing solutions and services, you can reach the right buyers and convert more leads. As an Act-On Reseller Partner, we are experts in implementing marketing automation tools. An integrated CRM and marketing automation solution will help you end the he-said-she-said battle between your sales and marketing teams. Put us to the test, we love a challenge. Create, test, deploy, and measure your email campaigns using easy-to-use email composers—no HTML coding required! Are your marketing and sales teams constantly playing the blame game when a prospect slips through your fingers? Our tools make it easier than ever to help identify and engage with your hottest prospects, and close more deals. Say goodbye to cold calling, and say hello to new sales! Seamlessly sync marketing tools with your CRM to reach out to your leads at precisely the right time. Go beyond impressions, clicks, and submits by integrating marketing with Google Ads. See your keywords' performance all the way to conversions and ROI. 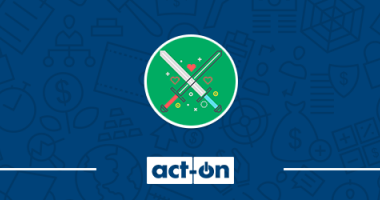 Act-On’s marketing command center gives you the tools you need to get the right messages, to the right people, at the right time. Create meaningful relationships with your audiences, and measure your marketing success with ease. With Act-On, marketing efforts can be seen, known, measured, and optimized based on hard data, not gut feelings. With Constant Contact, you can create effective email marketing and other online marketing campaigns to meet your business goals. And with a tool as powerful and easy to use as Constant Contact, you don’t need to be a marketing expert to see results. SugarChimp automatically syncs your data between Sugar and MailChimp so that you never have to worry about it. MailChimp will always have the most up-to-date information, so you can be confident when you send the next campaign that you have the latest and greatest data. Salesfusion gives fast-growing and mid-size companies intuitive and affordable tools to engage audiences and measure marketing success. With Salesfusion, you will have the resources to amplify your marketing efforts and exceed goals. Pardot is B2B marketing automation by Salesforce, empowering marketing and sales teams to work together to generate more — and better — leads, close deals faster, and optimize the customer lifecycle. Combined with Salesforce Engage, Pardot makes it easy for marketers to fuel their funnel and enable sales reps to connect more effectively. ThriveHive’s Guided Marketing Platform is designed specifically for small business owners. The combination of software tools and expert guidance takes the guesswork out of marketing, making small business marketing easy and effective. With Sugar, you get a simple user interface, industry-leading customer experience, and an intuitive customization platform. It's lean, fast and integrates with anything. Sugar's modern design works seamlessly on the devices you use every day. That's why more are ditching legacy systems and choosing Sugar to build better business relationships. 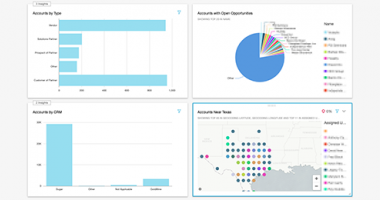 In this blog post, we’ll be looking at how Business Intelligence (BI) tools can bring out the best data your CRM has to offer. Find out what the difference between Inbound and Outbound Marketing is, and the major benefits you will reap using both in your marketing efforts. 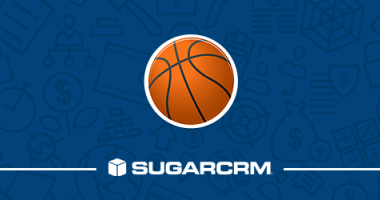 Sugar Spring '19 (9.0) has been released for all Sugar Cloud and On-Premise customers, including game-changing enhancements to accelerate your business. 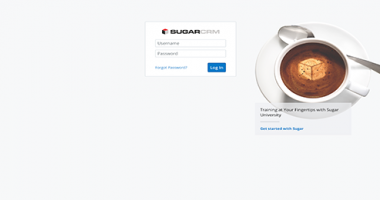 SugarBPM minimizes the manual efforts required by people in your company so they can spend more time working with the people that matter most, your customers. This live virtual class will provide you with the tools necessary to use Sugar as a new End User. This live-virtual class will teach you how to use Sugar's Reports module to run the reports you need quickly and efficiently. Learn to navigate in Sugar, customize the interface, update information, add new leads, convert leads and log activities. This live course provides Sugar Administrator users with the tools needed to apply best practices on advanced configuration topics in Sugar. How we use the combined power of SugarCRM and Act-On Marketing Automation for sales and marketing. See how you can empower your sales team with tools that will streamline and prioritize their workload. Sugar 9.0 was released on April 5, 2019. This video will give you an overview of the new features and functionality available in this release. 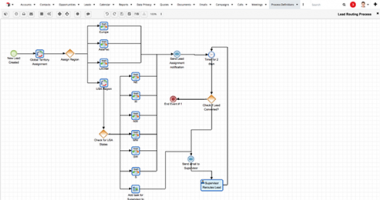 Learn how to work with SugarBPM to create process definitions, process business rules, process email templates, and how to manage running processes.